Key Difference: Red Blood Cells (RBCs) and White Blood Cells (WBCs) are main components of blood. RBCs are also known as Erythrocytes. WBCs are known as Leukocytes. Unlike WBC, Mature RBCs do not have a nucleus in mammals. They both differ in their primary functions. RBCs need to transport oxygen to the body cells. On the other hand, WBCs work for the immune system. RBC’s are red-colored, whereas WBCs are colorless. The number of RBCs found in blood is much higher than WBCs. Thus, they differ in many aspects like appearance, physical structure, functions and composition. Blood is one of the essential entities for humans. Nearly, 8 percent of the body weight is due to the presence of blood. It is composed of plasma and different cell types at different stages. Two of the most important blood cell types are RBCs and WBCs. RBCs (Red blood Cells, Erythrocytes) are the most abundant cells found in whole blood. These are small and biconcave in shape. This structure is due to lack of nucleus and other organelles; in context to mammals. Other vertebrates such as fish, reptiles, and birds, have red cells that contain nuclei that are inactive They are filled with hemoglobin (pigment which carries oxygen). They have the ability to squeeze through small capillaries. They carry oxygen to the tissues and in exchange return carbon dioxide from the tissues to the lungs. They are released from bone marrow with a circulating life span of approximately 120 days. On the other hand, WBCs (White Blood Cells, Leukocytes) are larger than RBSs in size. Unlike RBCs, they are nucleated cells. They are responsible for carrying out the immune functions of the body. They are composed of Granulocytes, Lymphocytes, and Monocytes. They are comparatively very less in number than RBCs. The body tends to increase the number of WBCs to fight infection. Granulocytes and Lymphocytes fight germs like bacteria and virus. WBCs also produce antibodies to stand against any foreign element. They are generally formed in the bone marrow. However they can also be produced in organs like spleen, thymus and lymph nodes. WBCs and RBCs are very different from each other. They differ in their structure, composition and functions. RBCs do not contain any nucleus like WBCs. 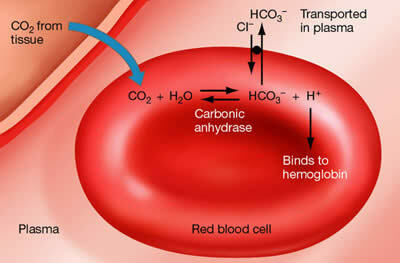 RBCs carry Hemoglobin which releases oxygen in the tissues. On the other hand, WBCs carry out immune related tasks. RBC’s are red in color due to the presence of hemoglobin. On the other hand, WBC’s are colorless. In the embryonic phase, they are formed in the live and spleen. However, after birth, they are formed in red bone marrow. They are formed in red bone marrow, lymph nodes, spleen, etc. Between the cardiovascular and lymphatic system. Many leukocytes gets matured in the lymph nodes. They escape from the blood vessels and travel towards the site of infection of injury.